A TPO roofing system is highly resistant to tears, impacts, and punctures. So, it is very resistant to bad weather, and the physical environment. Strong wind gush, or hail, or other natural forces will find a TPO roofing system to be a very powerful defense system. TPO also has good flexibility to allow for building movement. TPO's are available in many colors, including-white, light gray, and black with thicknesses of either 45 mils (.045") or 60 mils (.060"). The width of the membrane depends on the manufacturer but they usually come in widths of six to six-and-a-half feet and are one-hundred feet in length. TPO membranes are installed fully-adhered, mechanically-attached or ballasted. Fully-adhered means that the roofing system is "glued" to the substrate (iron deck, deck, insulation, etc) using a special adhesive. What actually happens is the glue creates a chemical bond with the membrane. Ballasted simply means the membrane is laid loosely over the top of the roof, sealed at all penetrations and around the perimeter, and then a ballast (a stones) is put on it to hold it in place. Ballast usually consists of smooth, round, river rock 2" - 3" in diameter and is applied at a rate of 1,000 to 1,200 pounds per roof square (100 sq. ft.). Sometimes concrete pavers are used in their place. These average 20 pounds per square foot. Mechanically-attached membranes are those that use some type of special screw-type fastener to secure it. The type of fastener will depend on the type of substrate but all fasteners are generally screw-type fasteners. The ballasted stone also offers an extra layer of heat protection. The rocks soak in the heat coming from the sun, and keep the property cooler causing lower energy bills. Fully-adhered is the best option in terms of a "TPO lock down", but if Mechanically-attached is also makes repairs in the future easier to deal with and find. Properly installed TPO roof systems have service life ranging from about 10 to 20 years, depending on the type of installation. Full removal of the existing roof, the amount of slope the roof has, weather conditions, as well as several other criteria contribute to the longevity of a roof's service life. Typically, if you remove an old roof down to the deck before installing a new one, then the new TPO roof will last longer. Also, the steeper the slope and the less severe the weather conditions, the longer a roof will last. High winds and hail can do a roof in rather quickly. But remember, the number one ingredient to a good roof system is proper installation. Call DFW Best Roofing at 817 381 6855, to a properly installed TPO roof done. 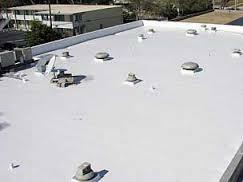 TPO (thermoplastic polyolefin) roofing is a single-ply solution most commonly used for commercial structures. DFW Best Roofing. provides commercial clients with superior roofing commercial roofing services and products. Our TPO roofing for DFW and the surrounding areas is manufactured by the reputable and reliable brand Johns Manville. For decades, JM has been a leading force in the roofing industry. With a TPO roof from this manufacturer, you are sure to get the performance and protection you desire for your building. While TX TPO roofing is one of the most popular roofing options for commercial structures, poor installations and rushed work can result in unsatisfactory performance. If extreme weather conditions or years of wear and tear have resulted in common roof problems, depend on Palmer West Construction Company, Inc., to solve them. North American Roofing installs all major TPO brands, as well as its own private labeled and warranted system. These systems are all capable of being installed over most surfaces, and like all single-plies, lightweight designs are available as retrofits over existing roof systems. North American's LaserWeld system has the Energy Star rating making it environmentally responsible and a fiscally intelligent solution. In the absence of visible leaks, many facility managers adopt the old “if it ain’t broke – don’t fix it,” motto. Unfortunately, by the time leaks show up, damage to the TPO membrane, the insulation layer and the roof deck could result in the need for costly repairs or complete roof replacement. The expense to maintain a TPO roof is much less than the cost to replace it. Neglect can result in added expenses if leaks cause structural damage, inventory or equipment damage, operational downtime or financial loss due to health claims arising from exposure to mold. Lack of maintenance is one of the biggest causes of premature TPO roof failure, ranking right up there with misuse and abuse, faulty workmanship and improper design. The best time to adopt a maintenance plan is right after the installation of the new membrane but older roofs will also benefit. A good maintenance plan starts with a comprehensive evaluation of the membrane’s current condition by a reputable roofing professional. Request a written report that includes a detailed survey of known problems, potential issues, recommendations and a cost estimate for repairs. A professional evaluation should include a visual inspection of the membrane’s surface, seams, fasteners and flashing. An infrared thermography survey can locate tiny penetrations that aren’t visible to the naked eye. The inspector will look for voids or signs of deterioration in sealants around coping joints, coping ends and penetrations such as skylights and rooftop units. He’ll also be looking for inadequate or blocked drainage, ponding water and the condition of roof/wall tie-ins and parapets. A qualified roofing company will check and repair sealants, seams and fasteners as necessary. Because certain products, like roofing cement, are not compatible with TPO, avoid do-it-yourself fixes, which can cause more damage. At North American Roofing, we know that inspecting, repairing and maintaining your TPO roof can be a daunting task for the typical facility manager. That’s why we developed the RoofGuard Maintenance Program, which allows managers to focus on their daily business without worrying about scheduling the inspections, maintenance and repairs necessary for keeping the roof in good shape and for keeping the warranty in effect. No matter what your roofing needs are – North American Roofing has the answer. We’ve earned the reputation as being the most trusted and respected roofing company in America because we provide our customers with the highest level of professional workmanship and service. 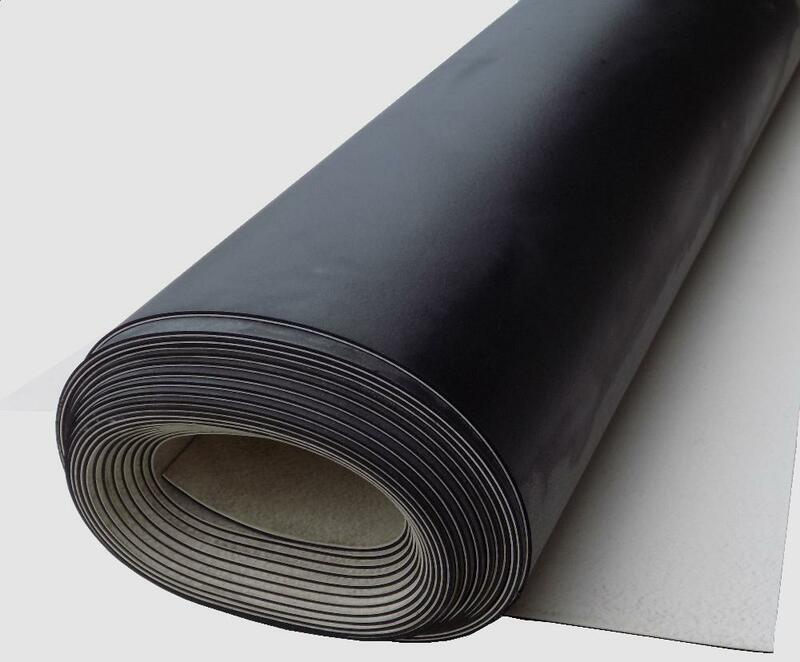 The TPO Single Ply Roof Membrane is a thermoplastic polyolefin membrane that can be used in a variety of single ply roof configurations, such as mechanically attached and ballasted, as well as in situations where other roof systems are not practical. It accepts roof movement and thermal shock well. Used in a multi-ply configuration, this is an excellent choice for vegetated roofing systems both for waterproofing and as a root barrier. The TPO Single Ply Roof Membrane is available in a variety of thicknesses including 45, 60 and 80 mil. TPO membranes are single-ply roofing membranes constructed from thermoplastic polyolefin. White TPO roofing provides a highly reflective roofing surface which can help reduce the amount of energy required to heat and cool a building. Because TPO roofing membrane is heat-weldable, repairs are simple. Cut off the area damaged and heat weld the repair patch. Available in other colors by request. The TPO roofing membrane for sale on this page is White. Two different thickness: .045 Mil TPO and .060 Mil TPO. 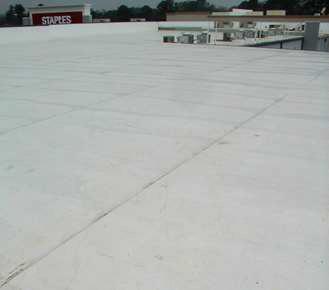 Application: TPO roofing membranes are mostly used in low slope commercial roofing systems that cover a large are. TPO Roofing can also be used for small flat roofs in residential environments as well. The TPO is durable and can be installed as a fully adhered system making it possible to use on a small house to an apartment roofing complex. TPO Roofing adhesives and other roofing accessories area available by calling 817 381 6855.